The Board of Governors is one of the two policy-making bodies of the IAEA, along with the annual General Conference of IAEA Member States. The Board examines and makes recommendations to the General Conference on the IAEA's financial statements, programme and budget. It considers applications for membership, approves safeguards agreements and the publication of the IAEA's safety standards. 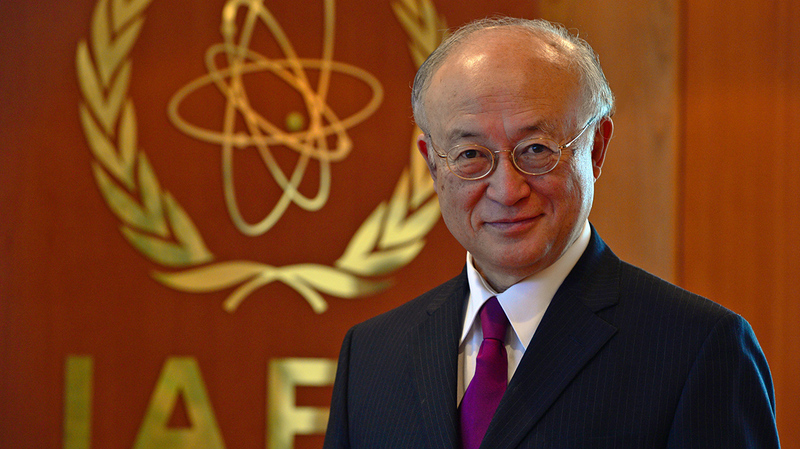 It also appoints the Director General of the IAEA, with the approval of the General Conference. The Board generally meets five times per year: in March and June, twice in September (before and after the General Conference) and in November. The 35 Board Members for 2018-2019 are Argentina, Armenia, Australia, Azerbaijan, Belgium, Brazil, Canada, Chile, China, Ecuador, Egypt, France, Germany, India, Indonesia, Italy, Japan, Jordan, Kenya, the Republic of Korea, Morocco, the Netherlands, Niger, Pakistan, Portugal, the Russian Federation, Serbia, South Africa, the Sudan, Sweden, Thailand, the United Kingdom of Great Britain and Northern Ireland, the United States of America, Uruguay and the Bolivarian Republic of Venezuela. The Chair of the Board for 2018-2019 is Ambassador Leena Al-Hadid of Jordan. She succeeds Ambassador Darmansjah Djumala, the Governor from Indonesia. The Vice-Chairs are Ambassador Armen Papikyan, the Governor from Armenia, and Ambassador Ghislain D'Hoop, the Governor from Belgium.